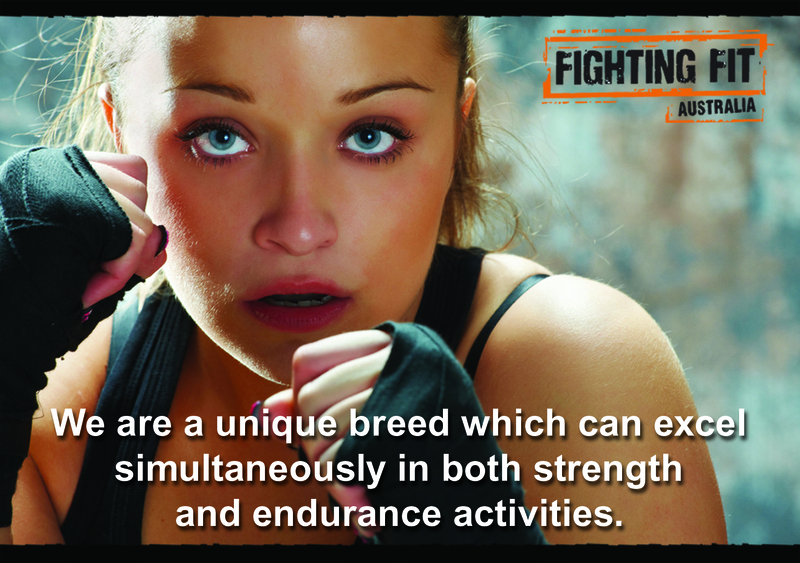 At Fighting Fit & Phoenix Power Coaching our focus is on Hybrid Training. We believe this style of programming will aim to improve one’s overall health & fitness by using combined movements that encompass all elements throughout persistently varied sessions to develop unlimited conditioning simultaneously. Hybrid Training is all about understanding and managing recovery, and learning when systems are “fresh” enough to hit again, or when they can handle being hit differently. A good program, should be about pushing the body to its limits, giving necessary stimulus for adaptation, then given just enough recovery to allow some level of compensation before hitting that same system again. Our programs can be modified to suit everyone’s needs. Compiling a Hybrid program is no different than planning any other program, you just need to think about the day to day impact of each kind of training and plan accordingly. To be good at multiple things, one has to be a little lazy – to be specialized, do ONLY what you need to improve at each discipline and not a bit more. When working with our Fighting Fit Family, we always first look at WHAT you want to be when all is said and done! i.e. what is that you want, how do you want to feel, are you fitter, faster or leaner than before. Any training phase, any training week, any sessions, any exercise, any repetition or interval that doesn’t help you go from where you are to what you want to be is a waste of time. There’s no magic pill out there, no “advanced training methods only the pros know” – what distinguishes a great coach from a mediocre one is our ability to ignore the garbage out there and focus on what will make you better as an individual… and then we will make you do it twice as hard. So what is Hybrid Training about? It is about analysing the different stressors involved in various forms of strength and endurance training, and designing programs based around consolidating these stressors to minimize interference and maximize recovery. The simultaneous method of different physical disciplines that do not explicitly support one another, and whose dissimilar components are not essential to success at any one event. You DO need strength and a lot of it. You DO need endurance, the more the better. You DO need muscle.You DO need to rest and recover. We will tailor your training to your specific needs. You need to in essence “have it all”!